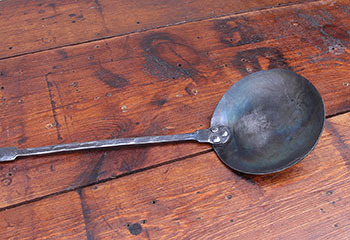 This hand-forged egg spoon is “perfect for frying an egg in the fireplace.” You can’t deny that’s something we all need to do, and at over a hundred dollars, it’s a steal. Amazon Key Vehicle is a new service from Amazon where they offer to unlock the trunk of your car and put your packages inside of your trunk, instead of deliver them to your house. Their previous Amazon Key service, Amazon Key Home, where deliverypeople would open the front door of your house and leave packages inside, wasn’t well-received for some reason. Since the popularization of Twitter, people and companies have been stealing other peoples’ Tweets and using them for profit. 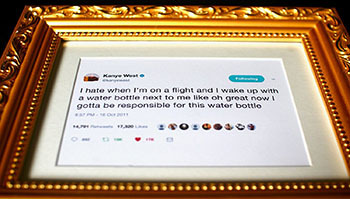 This framed Kanye tweet is just one example. My favorite (least favorite) of the reused-Tweet genre is, of course, “Twitter: The Comic,” the book where some guy took some 2012-era Weird Tweets and drew them out, thereby ruining the joke in each and every one, without permission from or payment to the original authors. As you might expect, there’s a product that bridges the two of these ideas, which is this book where some guy added illustrations to Kanye’s tweets and printed them in a book.